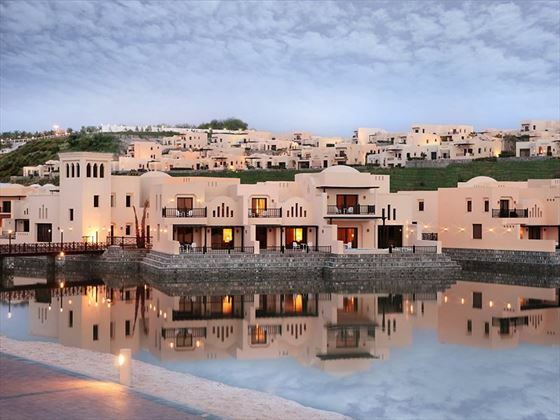 A stay at The Cove Rotana presents the perfect introduction to Ras Al Khaimah emirate with golf courses, desert safaris and trips on the ocean all within easy reach. 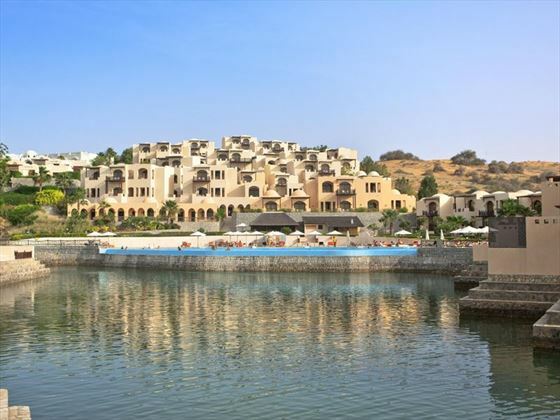 Located on the beach, about 5 miles from the city centre, you'll find everything you need to have fun in the sun including friendly staff, swimming pools and a great choice of lounge bars. Fitness fans will be more than pleased with the gym, swim and watersports facilities whilst massage lovers will find themselves in pure pampering paradise. With a supervised kids' club and lots of child-friendly choice in the restaurants this is a fab option for families and definitely one to remember for the whole team. 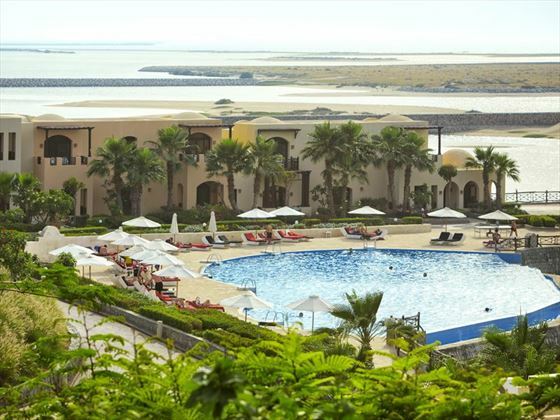 Ras Al Khaimah emirate is fast-becoming one of the 'must visit' shorelines in the UAE and you'll find he Cove Rotana resort places you close enough to the beach, the golf course and the airport to keep everyone happy. 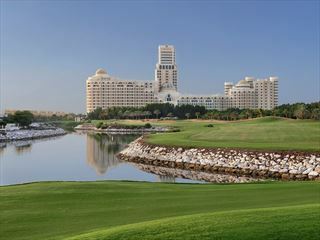 Dubai International Airport is around 90 minutes' drive away or, alternatively, Ras Al Khaimah International is about 15 minutes. 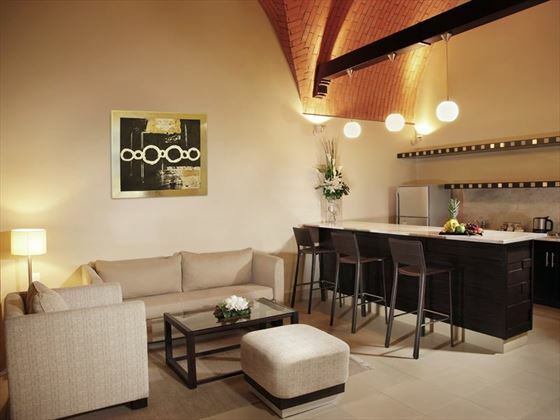 Classic Room (King or Twin) – calming interior design, contemporary fixtures and fittings and king-size or twin beds. 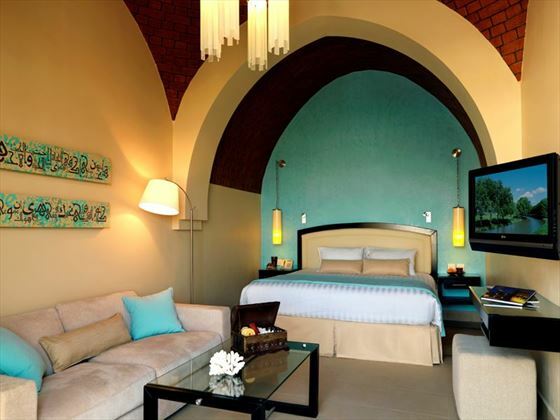 Deluxe Room (King or Twin) – same size and décor as Classic Rooms with views of the infinity pool and lagoon area. Not suitable for children under 6 years. 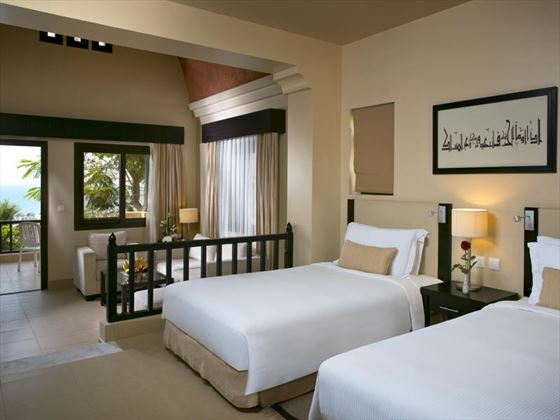 Premium Room (King or Twin) – same size and style as Deluxe Rooms with ocean and beach views. Not suitable for children under 6 years. 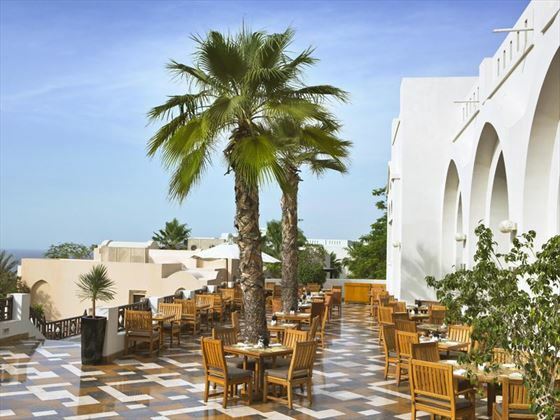 Basilico – Mediterranean and Italian favourites served for lunch and evening meal alongside theme nights and live entertainment. Cinnamon – all-day international and Asian buffet and a la carte dining on the outdoor terrace. Breeze – lobby lounge and alfresco setting, just right for coffee, cakes, shishas and cocktails. Laguna Bay – juice, cocktails and snacks by the pool. Sunset Bar – great views from the upper pool with snacks, cocktails and chilled juice on the side. 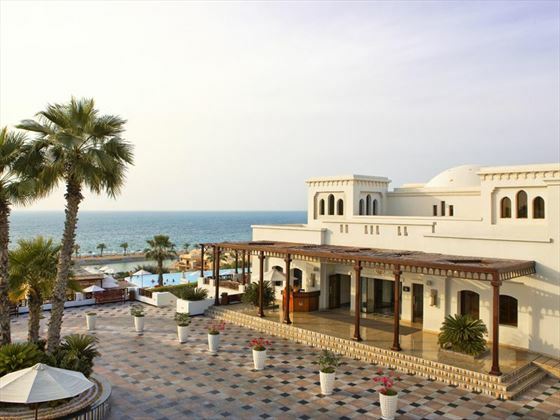 Breakers - cocktails, shisha pipes and food served at the beach from lunchtime till 7pm. 24 hour in-room dining – what you want, whenever you want it. Bodyline Fitness & Leisure Club is open from 6am – 10pm and features a fully-equipped gym with cardio equipment and free weights. Spa facilities are available from 9am – 9pm and include: steam room, sauna, Jacuzzi and seven massage rooms. 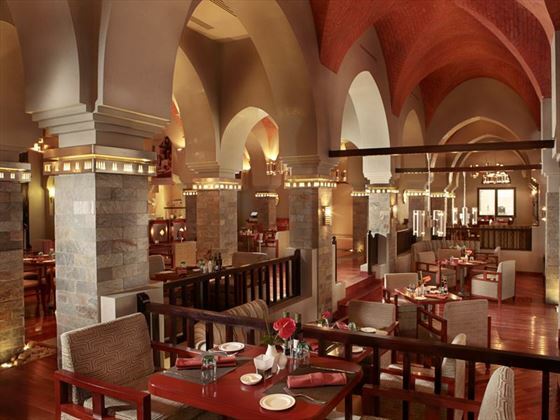 Includes breakfast, lunch and evening meals at Cinnamon Restaurant in addition to selected mineral water, soft drinks, tea, coffee, beer, wine and spirits served by the glass. One child (6 – 11 years) goes free on any room category. All inclusive supplement on an extra bed for a third adult sharing a room. 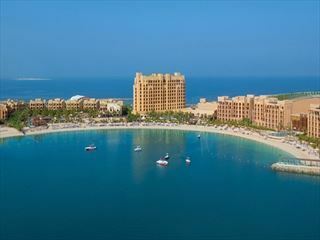 Minimum four night length of stay required in all inclusive offer.